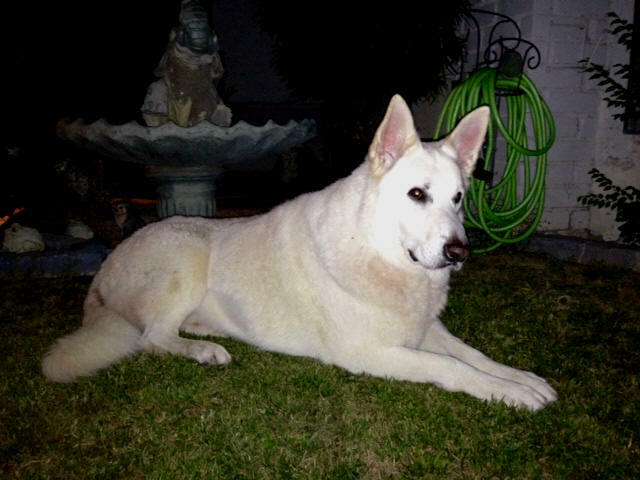 White German Shepherds and Colored German Shepherds! AND everything she ever said to me whether it be to teach me or to let me learn.....has been appreciated. 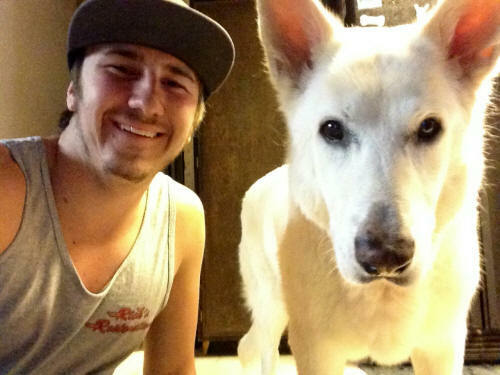 Alice has been gone for 6 years now and I love and appreciate her more and more :) I also find that it's been harder and harder to let folks know about the Snowcloud Shepherds. They are actually very few and far between now and very hard to find. During the last 10 years of Alice's breeding, she bred several of our dog's into her bloodline...Yep, you read that right...our dogs....from MINTERN'S GERMAN SHEPHERDS :) That could not make me any more proud... but I did not boost about it then & will not boost about it now.......I was honored and couldn't wait to hear more about what she bred and to whom :) It was so exciting to me and made me so happy that she trusted my love and dedication to actually ADD IT TO HER OWN BLOODLINES that she had worked on for years! With that said, I am still working on The Snowcloud Bloodlines, ALONG WITH MY OWN LINES and probably always will be :) They will never be perfect and have never have been perfect. There is no such thing :) BUT.....as I find it harder and harder to keep the integrity of the Snowcloud Shepherds alive, I find that I am still so deeply intertwined with them, that I can't stop breeding that wonderful bloodline :) Since Alice's passing, I have released some breeding rights to some other breeders, because I felt that keeping the Snowcloud Line all to myself, would harm the bloodline more than to help it grow and flourish. I was the only person given exclusive Snowcloud rights.... I am hoping that with the new additions to the bloodline and also with the keeping of Alice's bloodlines, that we can all find a wonderful part of the Snowcloud Line that we love and cherish. I am certain that Alice did not want to keep the lines all her to herself or I and many others would not have some of the dogs that we have now. I am hoping that we can continue to work together and keep this wonderful line alive. As I talk just about the Snowcloud shepherds, I find that almost all of mine here at home are related to them. I think of all the shepherds that we are breeding now, only ONE is not related to the Snowcloud Line. I am here 21 years after my first litter of puppies NOT BECAUSE of Alice, but because of my LOVE and DEDICATION to what I feel is important. Alice only made me think differently about them :) and she was always there to help me figure this or that out. She shared in that love along with me... She didn't GIVE me all the answers nor did she say it would EVER BE EASY, but what she did do was help make me think for myself and make me work for what I thought was right....and I AM SO HAPPY that she did that!! I love my dogs MORE today than ever!! There is NO ONE out there....in the country who is breeding strictly the Snowcloud Bloodline. No one... The breeders who are advertising SNOWCLOUD, are not 100 percent Snowcloud...they are only trying to add to the bloodlines!!! Just like myself, they are working towards what they feel is important to them. We are all lucky who have sought out and been able to find a Snowcloud Shepherd to add to our lines...Let's hope that we ALL continue to work together....adding and subtracting lines that work or don't work.....that is what it's all about....even after 40+ years of breeding, Alice still felt there was more to find and add and she sought it out :) we would laugh about it and say....."I wonder where we will find it next?" I also thank those of you who have some of our lines plus the Snowcloud lines mixed....It's important to me to know that we are working together to provide better shepherds for folks!! We have all mixed and intertwined our lines together to hopefully keep that love alive!! but to those who do not know.....many of her dogs were of OTHER colors!! 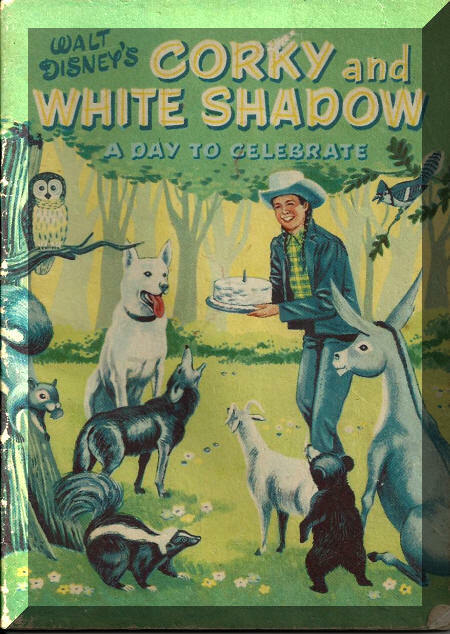 The story of The Snowcloud Kennel is like any other story in life...You dream about something, decide it's worth going after, making the choices you hope will be good for everyone involved and then actually following through with your dream! Alice and her family did just that...I do not know all the details as I am not part of Alice's immediate family. I do not know of all the sacrifices that were made on everyone's part and I do not know all the EXACTS that happened to make this dream of Alice's come true.....What I do know is that in the short 15 years that I have known Alice, I have learnt what an incredible lady she was and her stability in which she lived her life...I placed honor on her and her dogs long before now and those of you who have been with me all these years, know what Alice has always meant to me. 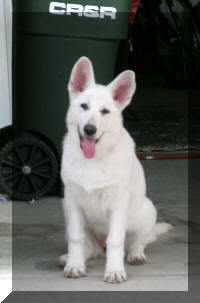 and remaining White German Shepherds from Alice Horton. Alice's last few shepherds that we brought home are just that to me....something very dear to my heart and something that I have wanted to keep in my breeding program from the moment that Alice and I first spoke..
And so, through happiness and sadness I have now acquired the bloodlines of Alice Horton's hard work and dedication. The Snowcloud line that I have acquired was developed by Alice Horton by combining two major lines. 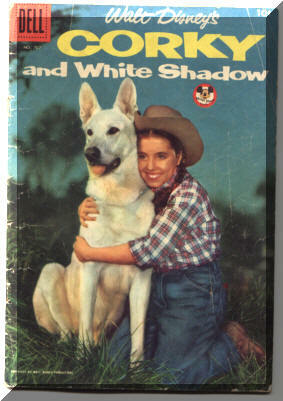 One is the White Shadow Line - Dorothy Crider, from California, which is often seen in the movies and TV. Alice was able to obtain a daughter and two sons of Dorothy's Star "Chinookie" directly from Dorothy Crider. 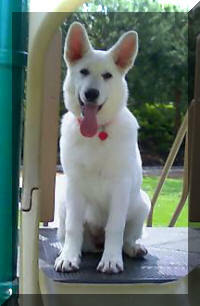 One of them, Alice's Chinook Von Snowcloud U.D., obtained the highest degree given by AKC. He was the first dog Alice trained. 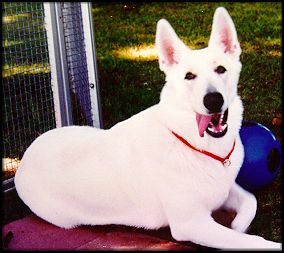 Alice's Khemo Von Snowcloud U.D., was the second dog that Alice trained. The other Line was brought to Fairfield by the Davis family that Alice incorporated. Mr. Davis told Alice he got them from the Lookout Kennels in Texas. In fact, he brought back all that they had as they were retiring. These dogs were heavily line bred on Rin Tin Tin IV, whose sire was Rin Tin Tin II. 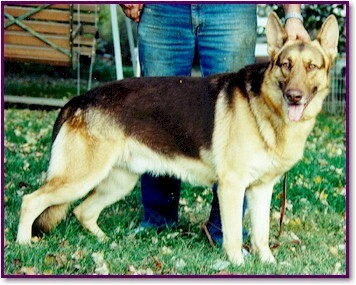 Major was white but he carried 50% Rin Tin Tin IV breeding. Alice was fortunate to have 5 of these special dogs. All of them were white. 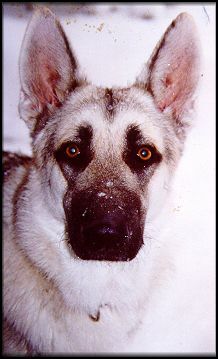 Within 4 generations Alice also found that several of the other dogs had been written about in the books telling how the German Shepherds had been developed. Example - Ch. Bill Vom Kleistweg and Ch Vol of Long Worth. This line produced the largest shepherds ever seen, often exceeding 150 lbs. Crossing them with the dogs Alice had gotten from Dorothy Crider, produced larger dogs, both male and female, than the original ones from Dorothy. Alice continued to bring in new dogs as needed, always keeping in mind the size, looks and temperament. also known as "CHINOOK" or "Chinook I"
Khemo and Chinook were sired by White Shadow's Chinookie. 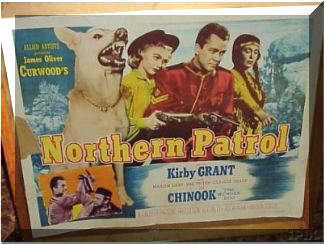 White Shadow's Chinookie was the Star of 26 pictures and stage performances, and won one Patsy Movie Award. White Tango of White Shadow was White Shadow's Chinookie's Sire. Tango was the Star of 62 pictures and stage performances, and two Times Patsy Award --TV. TV, night clubs, five years with Walt Disney Studio, 3 Times Patsy Award Winner. Harvey Bindlestiff-Offner was the sire of White Shadow Crider. Toured with Roy Rogers, Bullet and Trigger. Six Years with Allied Studios. Alice's Chinook and Alice's Khemo both received the highest Obedience title given by AKC. 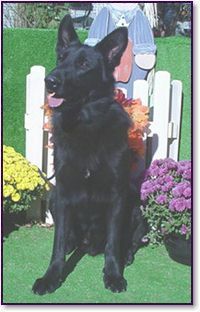 They won many trophies and placings as well as High Shepherd in trial. They performed at Tri-State Events, Nursing Homes, and schools. They were the first dogs that Alice had trained. On the Rin Tin Tin Major side which included both Rin Tin Tin II and Rin Tin Tin IV, the following Champions are in their back ground. Some of these have been written about in the books on the Foundation Shepherds. 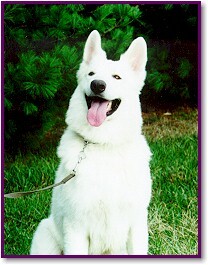 The White German Shepherd exhibits white, dark pointed dogs to white dark pointed dogs to maintain the white coat. 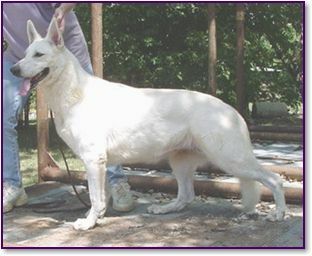 The Snowcloud Line carries more Obedience Titles given by the American Kennel Club than any other White Line of Shepherds. 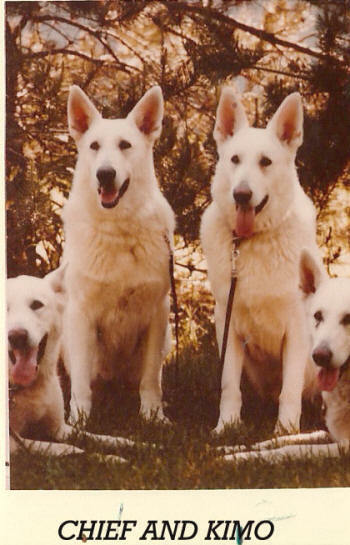 Alice put more Titles on her dogs than any other breeder of White Shepherds in the States. 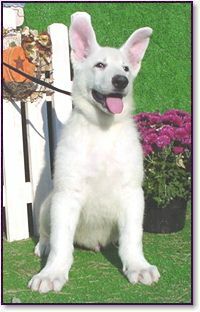 Many other Snowcloud Shepherd owners have put Obedience Titles as well as Champion ratings in other clubs on their dogs. 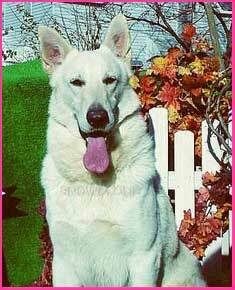 The White Shepherd may be shown in Conformation in the Rare breed Shows. Mid-States Kennel Club Shows and UKC Shows. However, they must be AKC registered. 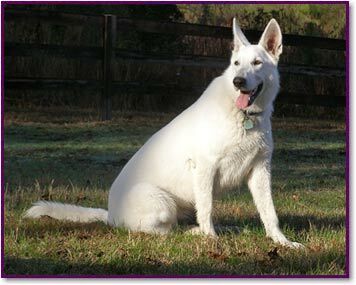 The White German Shepherd may be shown in any American Kennel Club Obedience Trial, which may be held with the conformation or Breed shows. 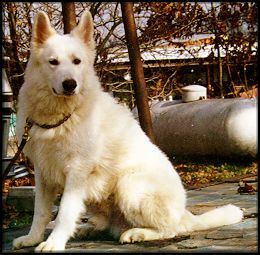 The White German Shepherds of Snowcloud Kennel are snow-white with black nose, dark eyes, lips, and some have black nails. They grow to be exceptionally large. I have had the honor of owning several. The males usually mature from 29" up in height and the females 25" up, depending on the care they receive after leaving our home. Their bone structure is huge. They have tall straight ears and beautiful shaped heads. They are an over all balanced dog. 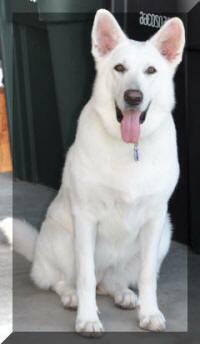 They are very gentle and loving to their owners and make excellent family dogs. They have proven to be very good with children and are especially protective of women and children. They make very loyal watch dogs and traveling companions as well as home companions. They are excellent in Obedience work and are so intelligent that training and showing them is very rewarding even for a novice. 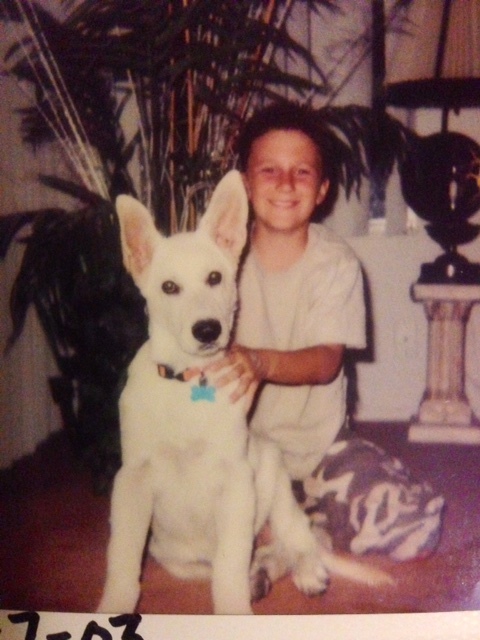 *So....in reading about where my white shepherds have originated from, please keep in mind that dreams are what keeps us going :) My dream years ago was to keep the SNOWCLOUD LINE alive...and I am doing just that....it will take some hard work and dedication on my part as it was a huge undertaking in taking in more dogs to my kennel. We will diligently continue to provide folks with good, healthy and stable shepherds. Richard is Alice Horton's son. He wrote this letter to help me find a way to let folks know where Alice Horton's last few remaining Snowcloud Shepherds will be making their home. I also wanted to take this opportunity to THANK Richard for all his help....tons of phone calls back and forth and even the trip he made to Ohio, bringing some of the dogs here for us...We were able to travel to Illinois to get some but Richard was kind enough to bring the others home for us...taking time out of his own schedule, and helping us make this work for both the dogs and for us. 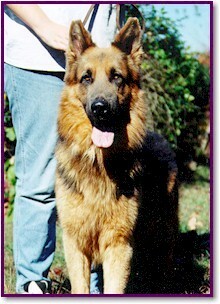 I have liquidated the kennel and sold the breeding stock to Kellie Mintern of Mintern's German Shepherds. Kellie was my first choice because of her dedication to maintaining quality and integrity in her own dogs. My mother incorporated some of Kellie's dogs into her own bloodline over the last few years. Kellie was also my mother's friend. the Snowcloud Bloodline will be carried on in Kellie's capable hands. She is currently breeding pure Snowcloud dogs as well as her own. and consideration to Kellie that you have or would have given my mother, Alice Horton. they may have just one of mother's dogs in their pedigree. Kellie is the only one who has the resources to carry on the true bloodlines. Richard and I had several conversations on HOW to best get the word out that the Snowcloud Shepherds are now living in Ohio with us. We also agreed that the family's privacy was also important. I had previously had a dedication page to Alice on my website but because of different situations that arose, we best thought just to announce where the last few shepherds of Snowcloud have made their home. I cannot express my sadness to you and your family! The Pictures below do not BELONG to Me, they are the property of Alice Horton, but Alice allowed me to place her pictures on my website before, and now I am placing them on here so that you can see what she enjoyed producing. The pictures are meant to show you how beautiful, strong and intelligent her bloodlines are. I am HONORED to be able to continue to breed some of the most incredible bloodlines left from Snowcloud Kennel. Please do not copy nor reproduce. resides in sunny California with Stephanie! 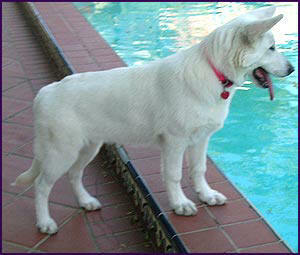 and the beautiful structure that the White German Shepherd is so well known for. THANK YOU Shari and Tyler....Tito was blessed to have you guys as his family! 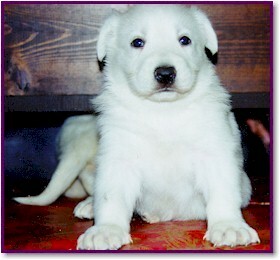 PLEASE contact me for any information you may need and/or if we have WHITE GERMAN SHEPHERD PUPPIES available!